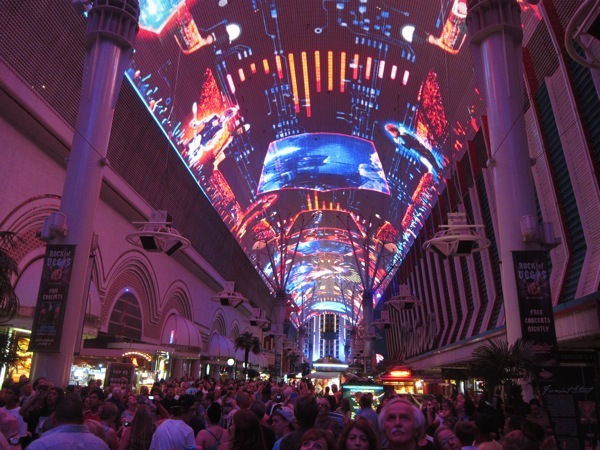 It will be a long time before Las Vegas is overtaken as the Entertainment Capital of the World, that is, if ever. But I don’t think. There are a million of things to do in Las Vegas. It has such a good vibe because almost everyone you see there is on holiday or celebrating something: graduation, birthday, marriage, divorce, you name it! It’s the Disneyland for adults. 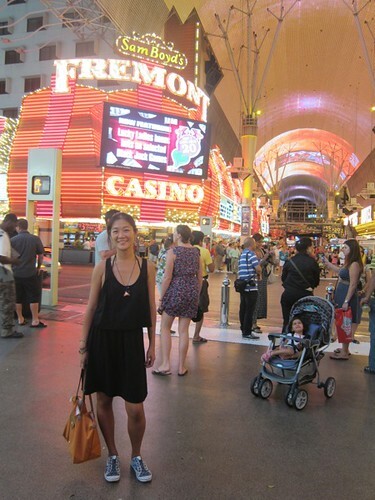 This is why my sister and I wanted to take our mom to Las Vegas when they came to meet me at the end of my round the world trip. The Strip is a 4.2mile (6.8km) stretch of boulevard where the largest hotels, casinos, resorts of the Las Vegas Township are located. In fact 15 of the 25 world’s largest hotels are located on this stretch. MGM Grand is #2 in the world, in terms of no. of rooms. Caesar’s Palace – Roman themed hotel. Find yourself taking photos with Julius Caesar and the Fontana de Trevi. Venezia – be in the romantic city of Venice with its canals, bridges, and gondola. Rio – experience Rio carnival every night. Excalibur – be welcomed by one of King Arthur’s the knight of the round table. Luxor – take photo with a mummy in the ancient Egyptian themed hotel. BUGSY starring Warren Beatty as mobster Bugsy Siegel in the 1940’s. We stayed at the Flamingo Hotel, and it’s super interesting for me to look the black and white photos of these infamous mafia icon. 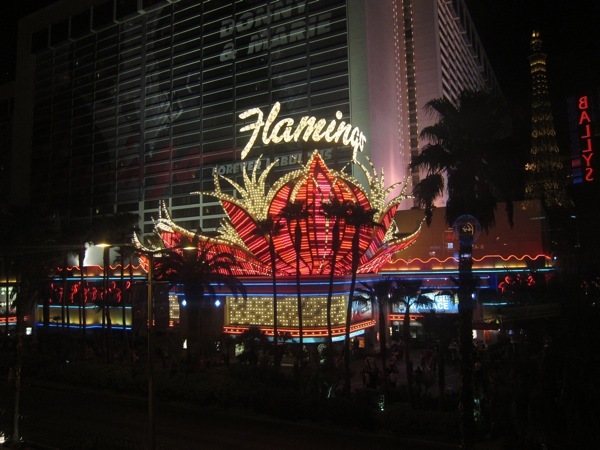 Flamingo Hotel was built by Bugsy and is the first hotel on the strip. CASINO starring Robert De Niro as mobster Ace Rothstein in 70’s-80’s who ruled Stardust in Freemont. Many of the famous performers found home in Las Vegas: Elvis Presley , Tom Jones, Celine Dion; Grand production like Cirque du Soleil in ARIA , Q’Viva in Bellagio, or Le Rêve in Wynn. But unless you’re a fan who followed the stars there, you can enjoy plenty of free shows in Las Vegas. Here’s a short list that comes to mind. Check with the hotel website for show schedule. Treasure Island’s Siren Show – must see! The Freemont Experience – must see! Smorgasbord is not invented in Las Vegas but it might as well be. As everything is big and bold in Las Vegas, so are the food. No worries if you can’t decide what you want to eat, just head to any of the famous buffet in one of the hotels. What’s so great is that even at the finest hotels, buffet only costs between $15 to $40 (with unlimited wine). We’ve tried Cosmopolitan hotel’s Wicked Spoon and is totally recommendable at 20$ – great Angus steak. The Buffet at the Bellagio has a bit of a wait but the food is a bit of a disappointment. Carnival World Buffet at Rio was my first experience in these larger than life Vegas buffet. I remember feasting on the endless Alaskan crabs. 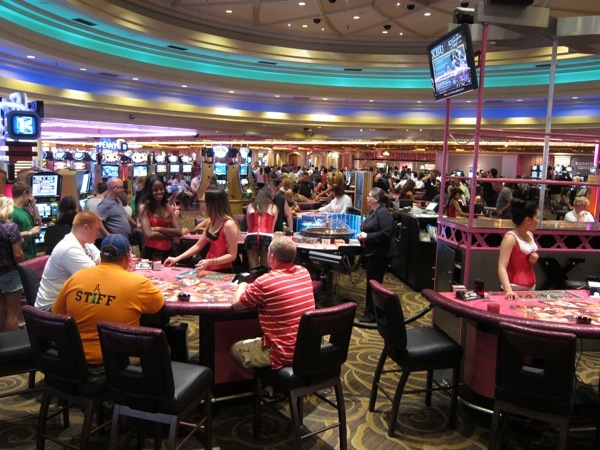 Famous chefs also now flock the strip: Wolfgang Puck in Caesar Palace was the first. Now you can find your TV chefs here, such as Gordon Ramsey, Bobby Flay, and Iron Chef Morimoto. Lastly but certainly not the least, Las Vegas is the place to be for shopping. This can be the perfect excuse to walk off that buffet feast! Get the royal treatment from the luxurious designer shops on hotels such as ARIA, Caesar’s Palace, Wynn & Encore, Bellagio, Venice, etc. BUT if you’re a serious shopaholic like myself, hop on the monorail and head to the Las Vegas Premium Outlets. It doesn’t even matter which direction you’re headed because they are on both end of the Strip with 300 branded stores: Las Vegas Premium Outlets North and South! How awesome is that? Las Vegas can be a lot of things, but it’s never boring. It’s also jump off point to visit Grand Canyon, Hoover Dam, or fancy skydiving even? I wouldn’t mind going back because I’m sure it will always live up to its name as the Entertainment Capital of the World. What’s your thought on Las Vegas? Or which city do you think deserves the title Entertainment Capital of the World more? Let me know! 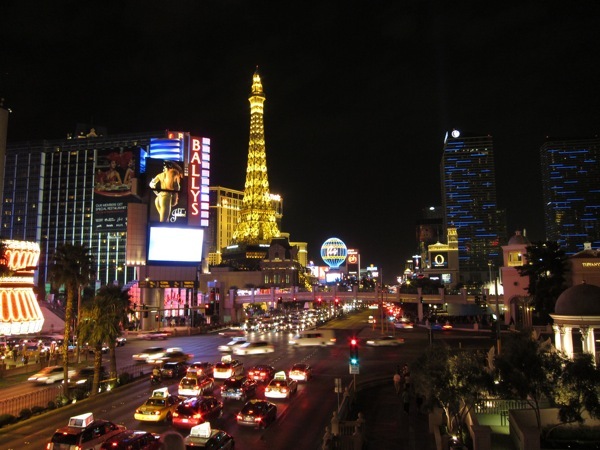 Vegas is a blast and something every traveler should experience. It exudes energy. The only downfall….all the characters on the street, smacking cards against their palms, displaying a local telephone number to a quick rendezvous with a “call girl.” Definitely dirties the place up a bit. Las Vegas has always been on my top destinations to go especially with my friends. I think I have been there more than 20+ times, my favorite hotel at the moment is Encore, their SPA is so beautiful.